Biopharmaceutical production requires cell banks that are stable over many years. One confirms that the cells' DNA is stable through periodic sampling. Confirming that a cell bank is stable over several years is a bit tricky as standards change. Also, the DNA of a cell is not characterized by a single point, but by a series of points on multiple lanes of a DNA ladder. 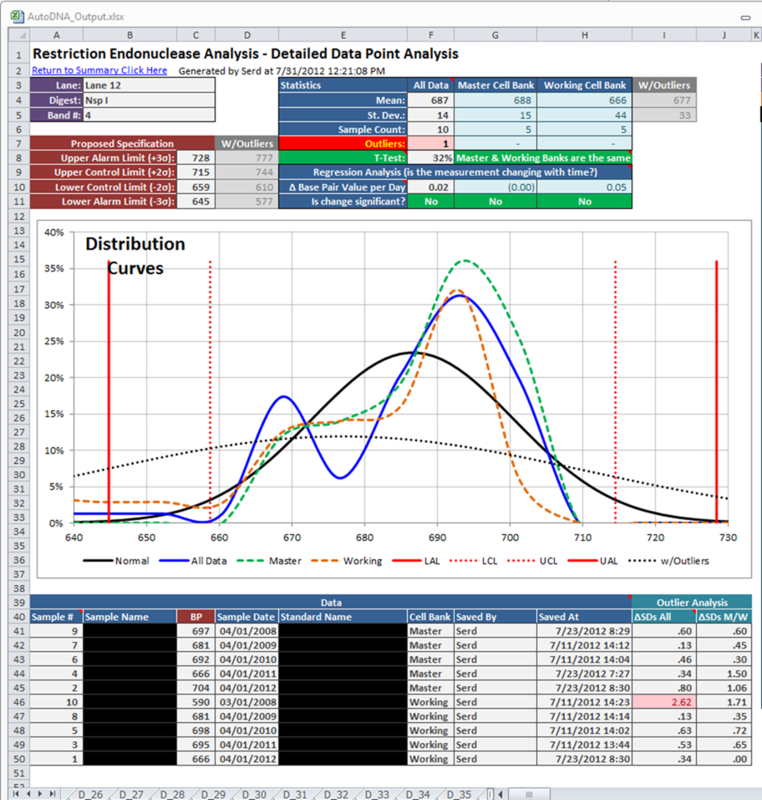 Proper definition of a standard could require 5O+ different data points on multiple lanes. 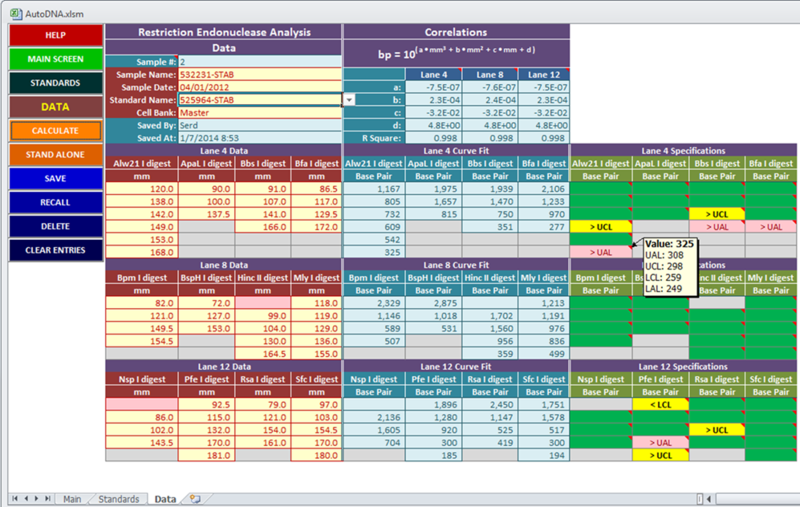 Analysis of a sample again is over multiple lanes and 50+ data points. Significant statistics need to be applied to confirm the cell bank is stable, or to identify that the cell bank is changing with time. 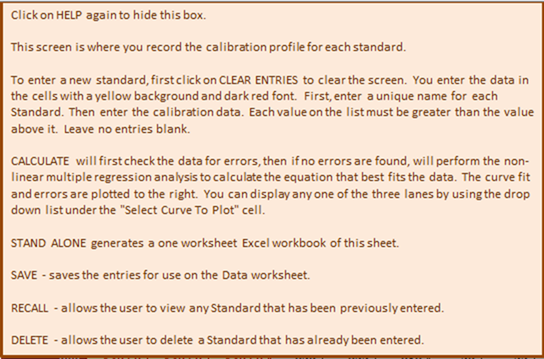 The Standards screen allows the user to calibrate the standards. 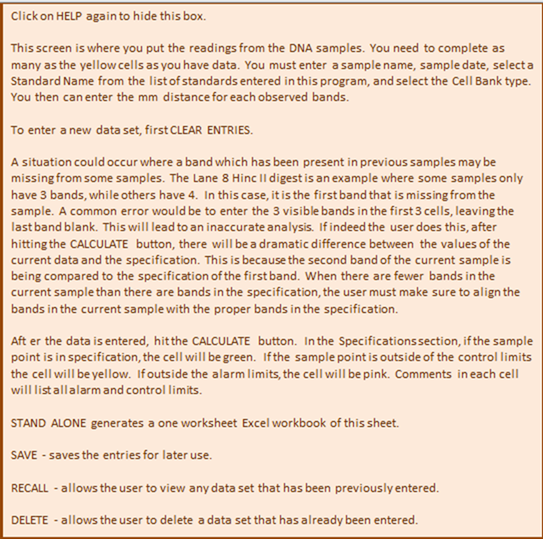 The DATA screen allows the user to enter the data, calculate and compare to historical data, and provides color coded feedback on the stability of the cell bank. 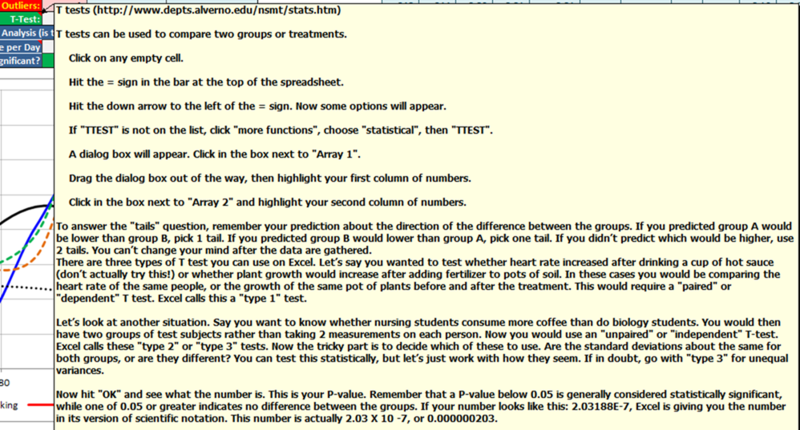 Note how the comments are used to provide detailed information on each data point. This web page was last updated at 02/21/2014 07:53 AM and is written in EXCEL!